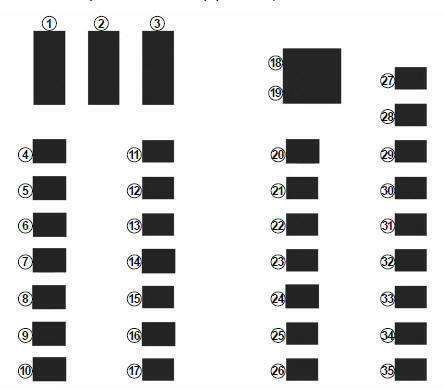 If any electrical component does not work, check the condition of the fuses. 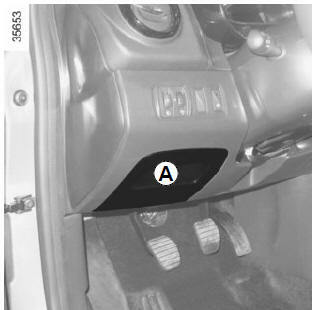 Unclip the access flap A. To comply with current legislation, or as a precaution, you can obtain an emergency kit from your approved dealer containing a set of spare bulbs and fuses. Remove the fuse using tweezers 1, located at the back of flap A. To remove the fuse from the tweezers, slide the fuse to the side. 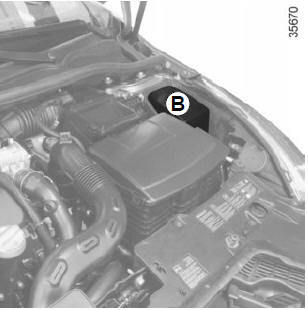 Some functions are protected by fuses located in the engine compartment (unit B). 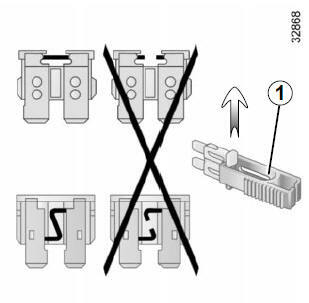 Check the fuse in question and replace it, if necessary, by a fuse of the same rating. If a fuse is fitted with too high a rating, it may cause the electrical circuit to overheat (risk of fire) in the event of an item of equipment using an excessive amount of current.